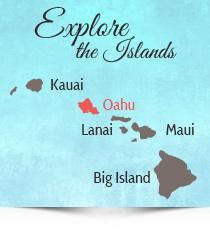 Buy Oahu Hawaii Golf Card and Save on Oahu Golf Today! For more than two decades, the exclusive GOLFHAWAIICARD delivers the deepest Oahu Hawaii golf card discounts and absolute best Oahu golf deals. Our subscribers enjoy tee time availability up to 90 days in advance, shared power cart, UNLIMITED GOLF at ALL participating courses and many other added-values. 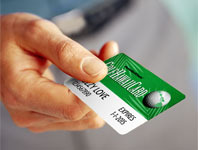 Your best Oahu Hawaii golf card is the GolfHawaiiCard from HawaiiGolfDeals.com. Don’t leave Nome (or anywhere else) without it! The only 27-hole layout on Oahu and some of the most scenic courses in the world! Makaha Valley Country Club — NEW! FOR A LIMITED TIME… only $33.95 per-subscriber, so GET IT NOW! Click here for more about the GOLFHAWAIICARD on the Big Island. “The Gathering Place,” as Oahu is known, delivers discount golf on the arid and breezy Leeward side of Oahu. We feature three outstanding tracks along Fort Weaver Road. Hawaii Prince Golf Club (a 27-hole layout by Arnold Palmer a & Ed Seay) and Coral Creek Golf Course (a Robin Nelson beauty featuring Seashore Paspalum turf) really take advantage of the relatively level terrain of former sugarcane plantations. At the top of Fort Weaver Road is another Nelson stunner — Royal Kunia Country Club — with awesome vistas and an outstanding overall golf experience that will fascinate all comers. The latest addition is Makaha Valley Country Club, with its charming, lush layout on the far west end of Oahu. And one of the best finishing holes on the island.